cPanel web hosting tutorials. – How to use cPanel web hosting. 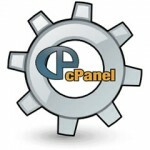 These cPanel tutorial videos are designed to give you an overview of each cPanel function. You will however find there are things within your cPanel web hosting that are not covered in these videos, as they are either very easy to figure out, or are unique and would only be used by cPanel experts or website developers.